« Revoltech Date Masamune Review. A wakening of the trailblazer. As one of the few lucky ones to catch the movie on the premier date. Heres what I think about the movie. Just gonna write pros and cons here. -Lotsa action, especially in the middle! -NO BLADE ACTION FROM 00 Qan[T]! -very little emphasis on the sword bits! This entry was posted on September 20, 2010 at 9:26 pm	and is filed under gundam 00, Review. 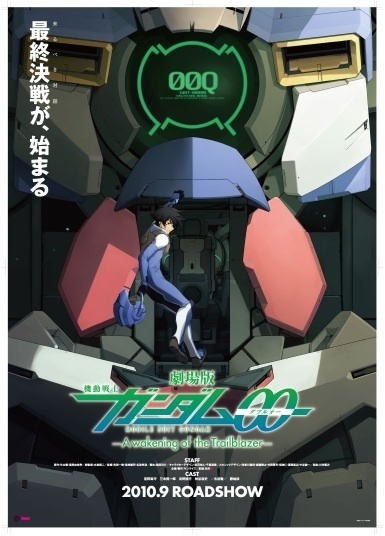 Tagged: A wakening of the trailblazer, gundam 00, movie. You can follow any responses to this entry through the RSS 2.0 feed. You can leave a response, or trackback from your own site. And OOQ should have more battle action. Aeolia is a sick b*st*rd? Gotta watch out for it! lolwut? no GN BASTA SWOOODO? bits dont dance?? ?